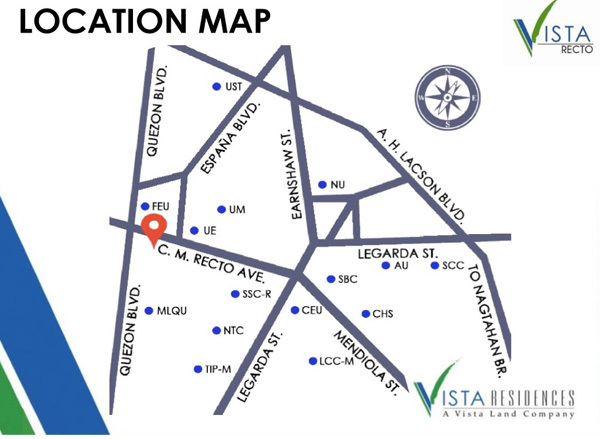 Vista Residences is a real estate development project of Vista Land and Lifescapes Inc. that caters to vertical development in the Philippines. With Vista Residences, Filipinos can experience a life of luxury at the heart of the most beautiful cities in the country. 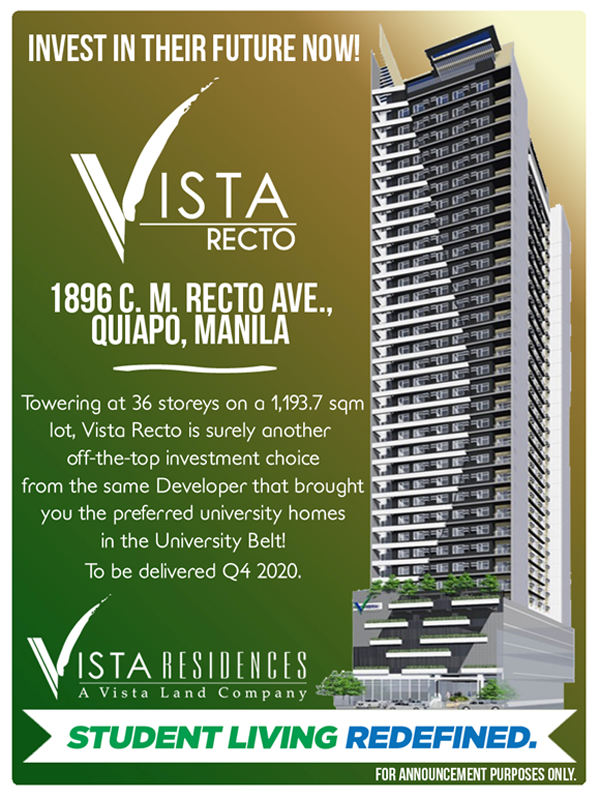 Vista Residences entered the industry in 2006 with its first project built in Greenbelt and has since then set quality standards for city living by redesigning the country’s landscape with its elegant multi-level developments that vary from low to high-rise condominiums for sale. 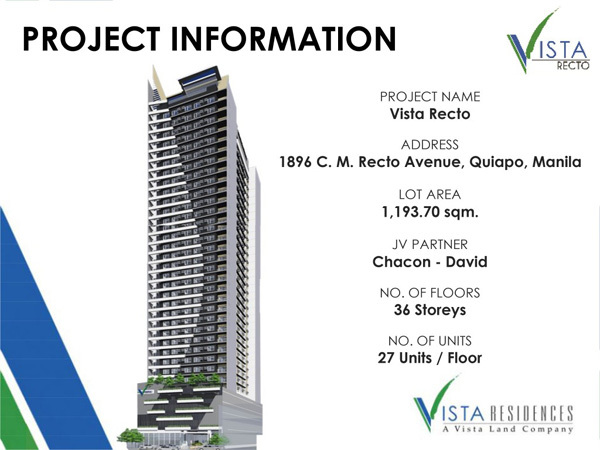 With Vista Land already proving its expertise in contributing to the best Filipino home living experience, from being the parent of the country’s most trusted housing brand Camella Homes, you can be sure that when it comes to ideal condominiums for sale, Vista Residences is the place to be. After only three years in the industry, it has already successfully built 19 condominium projects in varying stages of development. It is fully supported by Vista Land’s expertise of over four decades of building homes, developing properties, and creating communities. 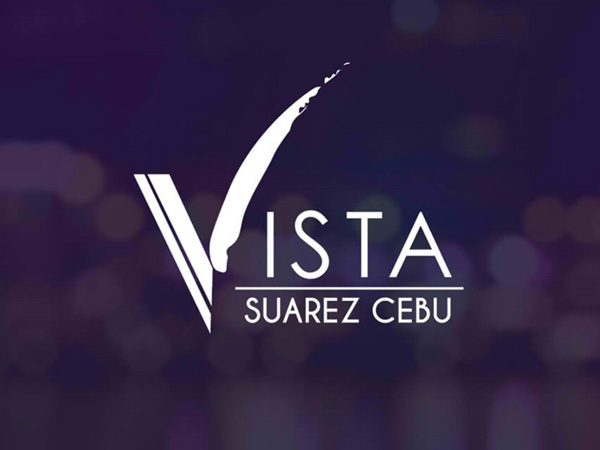 If you want exceptional condos for sale, if you live to have a high life on the rise, you’ll find a perfect home with Vista Residences. 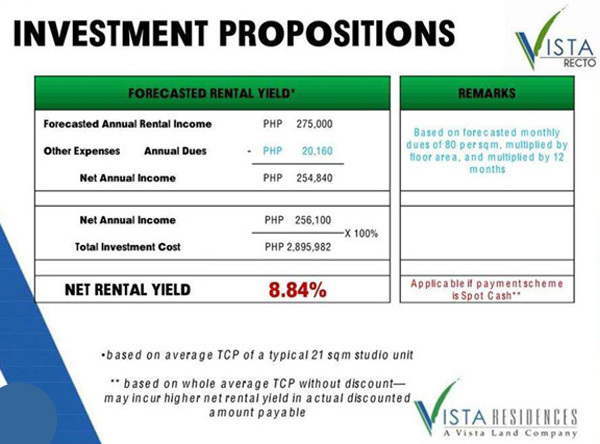 By investing in condominium units, you can experience a passive rental income that you can pass to your children from generation to generation. 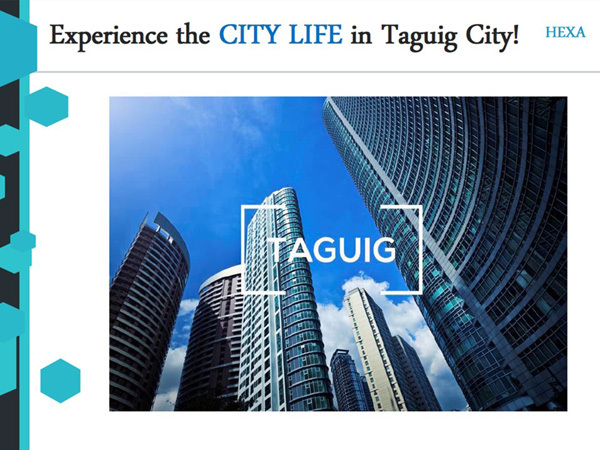 In one condo unit, you can earn a rental income from Php15,000 up to Php24,000 monthly. 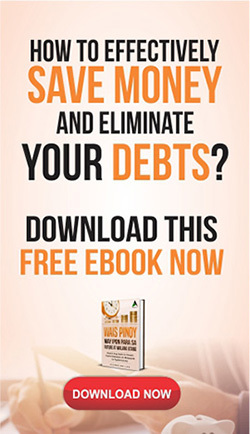 Let say you have 5 units time, that’s of Php120,000 additional income. 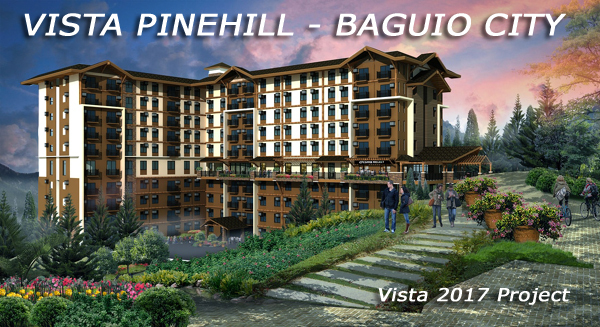 Filipino and foreigners are welcome to invest here in our condominium projects below. Get ready for star living at its finest. 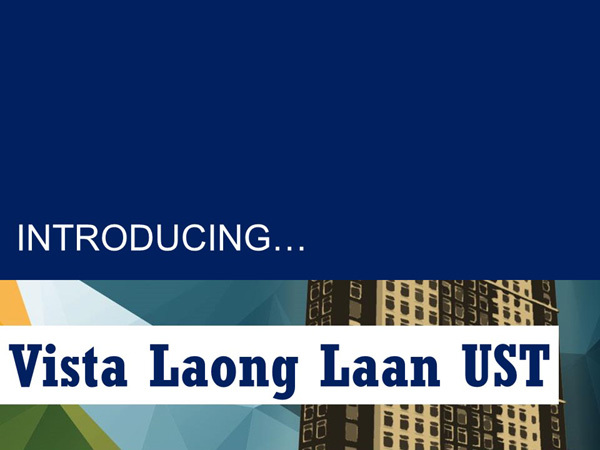 Introducing – Wil Tower Mall, where high living meets the good life at this two-tower, 38-storey inner city, mixed use condominium development along Eugenio Lopez Drive in Quezon City. Sitting on 3,000 sq. 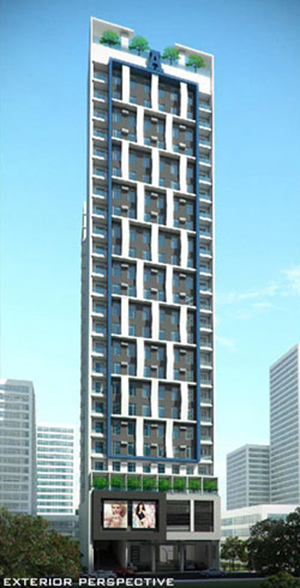 m. prime property, the development has four levels of commercial spaces and four levels of basement parking. 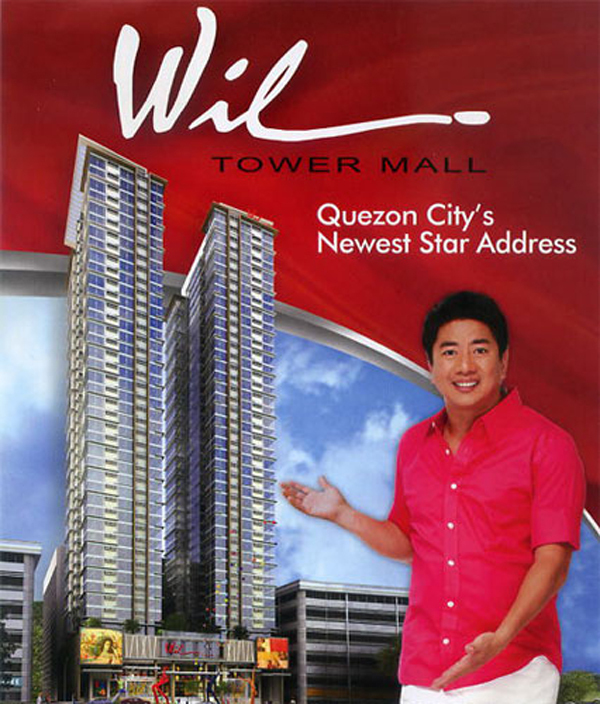 Located across ABS-CBN, the Wil Tower Mall is home to a new world of fun, fame and adventure. Leisure is the center of attraction. Laze around the swimming pool, workout at the fully-fitted gym, relax frazzled nerves at the spa, or just hang out with family and friends at the entertainment and game room. 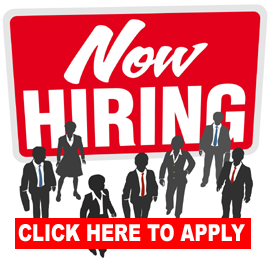 There are so many reasons to stay in, fun and recreation is just one elevator ride away. 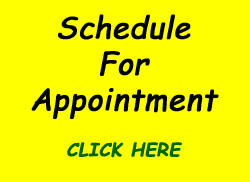 Rise beyond the conventional condo living experience. 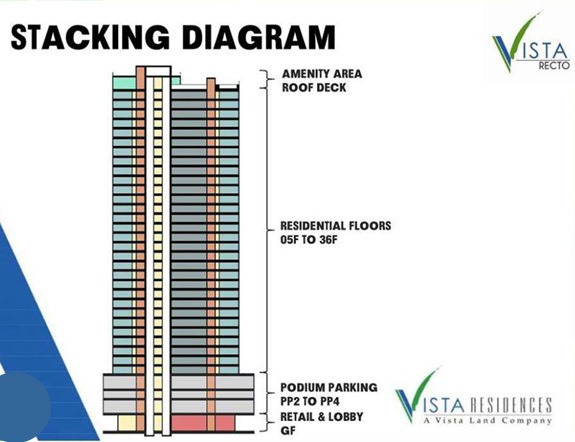 Finally, a new condo project by Polar Mines Realty Ventures shall rise and put new rhythm and melody to City Living– the Symphony Towers, the newest landmark in Timog, Quezon City. A red-carpet living space that is both exquisite and urbane. The Symphony Towers is the one of a kind with its scenic elevator which enables you to view the rest of the Metro as you rise above to your own home. Its sleek architecture and warm and cozy interiors are truly captivating; and its top-of-the-line amenities and facilities. The Symphony Towers lets you experience the finest in leisure as often as you want. It houses restaurants and cafes right at its lobby. It also features a central garden courtyard which can be both a quick getaway or a lush venue for your own events. 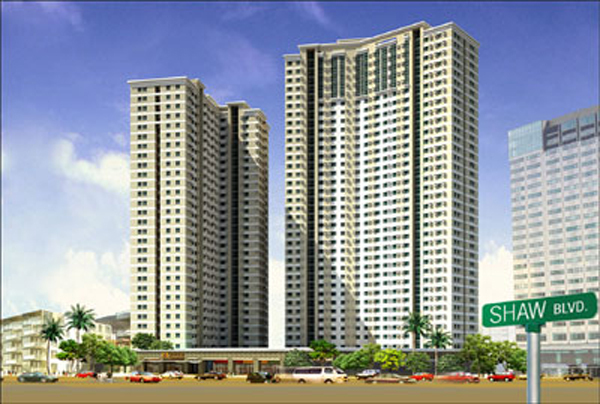 The Symphony Towers is also very near TOmas Morato a hotspot for fine dining, gimmicks and other leisure activities. 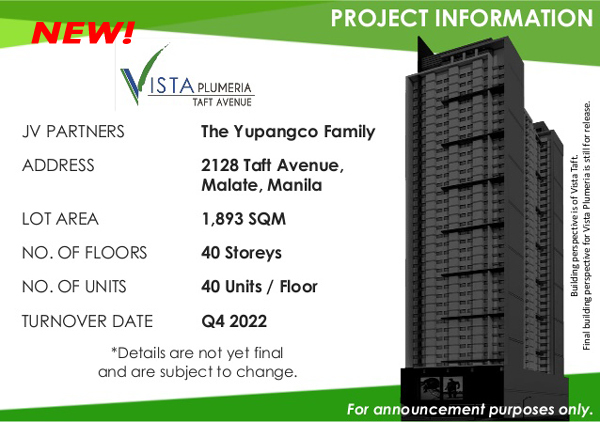 This condo project is very accessible to EDSA and the Kamuning MRT station. 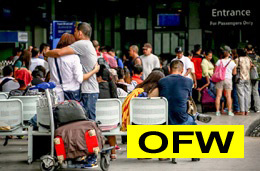 It is also just behind the two leading media networks in the country, ABS-CBN and GMA. 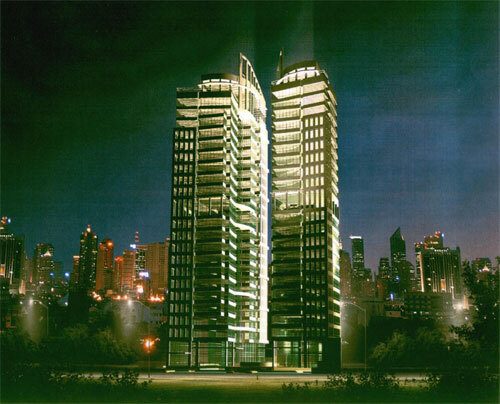 So at the Symphony Towers, you will not only get to live like a star, you may also live with one just next door! A two-tower mixed use development in the heart of Mandaluyong City, 515 Shaw offers an exclusive view of one of the most prestigious golf courses in the world, Wack Wack Golf & Country Club. 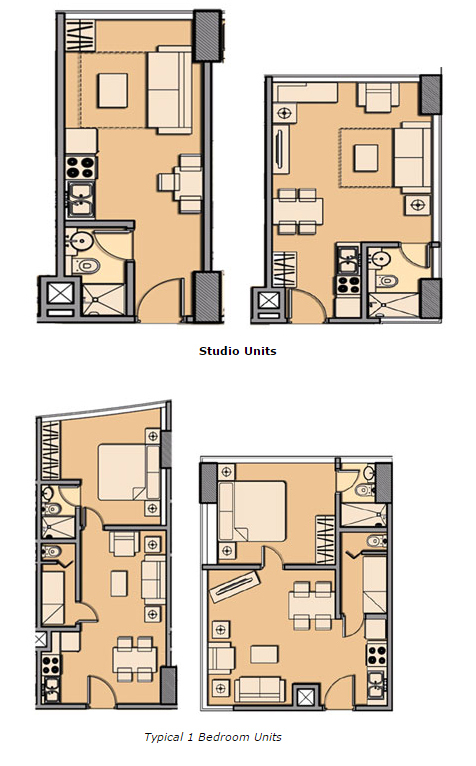 Situated in the most prominent address of Wack Wack, 515 Shaw has a complete array of units from studio to 2-bedroom units that would cater to all family sizes. The project also includes commercial spaces, dining establishments and other amenities that are perfectly tailor fit to match the needs of urban living. Home Units within 515 Shaw will be delivered with high grade vinyl flooring planks, plastered painted wall finishes, exposed slab and rubbed concreted painted ceilings, solid wood framed entrance doors, aluminum powder coated glass for windows, window-type air-condition provisioning, and split type air-condition provisioning for other units. Kitchen areas come equipped with modular bases, hanging cabinets, granite counter tops and splash boards, stainless steel sinks with faucets and painted gypsum boards for ceilings. 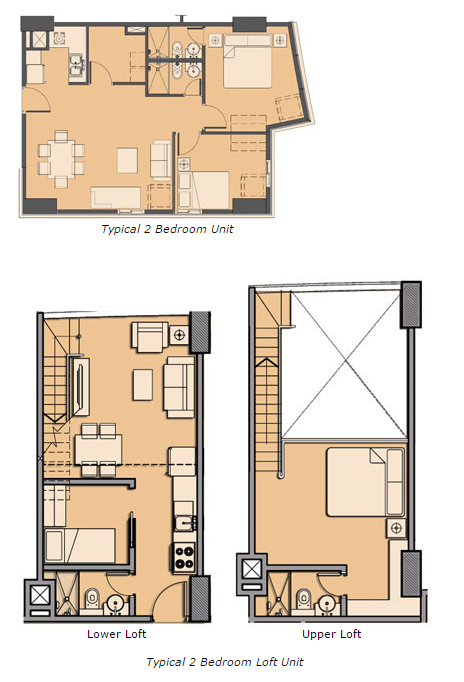 Floor area: 22.40 sq. 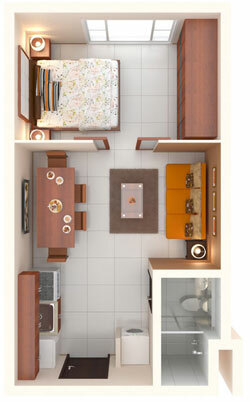 m. to 24.85 sq. 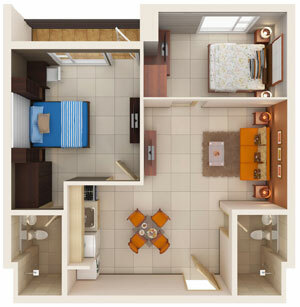 m.
Floor area: 37.80 sq. 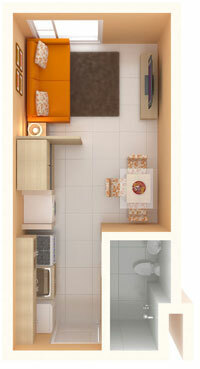 m.
Floor area: 60.80 sq. 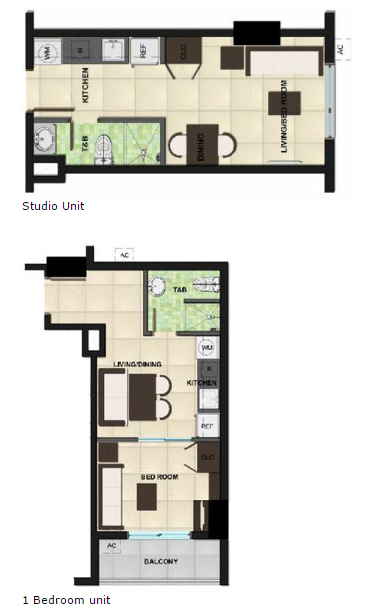 m.
Camella Condo Homes Katipunan is a 26-storey condominium development offering studio and one bedroom condo units. 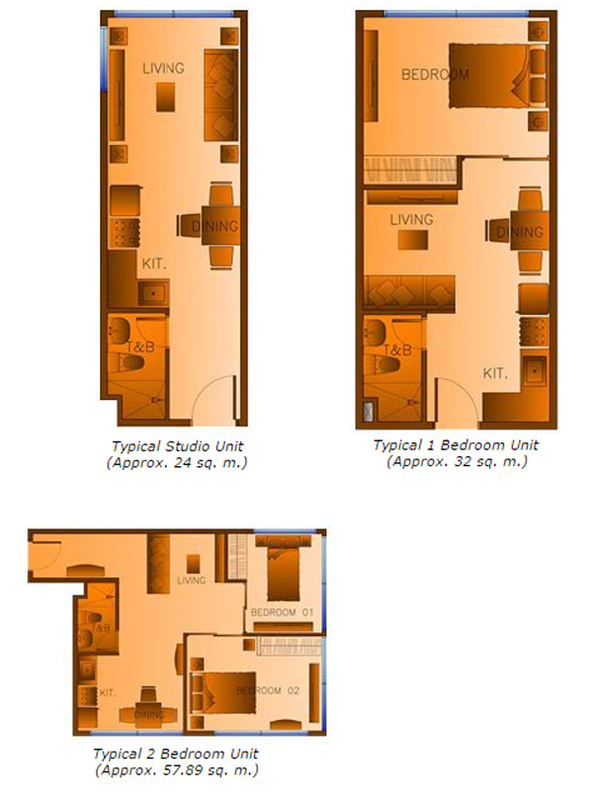 Enjoy the accessibility of a condo home that’s so conveniently close to prime universities in the country. A sure investment that will surely grow in value. Camella Condo Homes Katipunan is located right along Katipunan Avenue (across Ateneo de Manila University), Quezon City.